This entry was posted in community and tagged events on January 21, 2014 by James Day. As we start a new year, we give you this 2014 MINI events calendar. 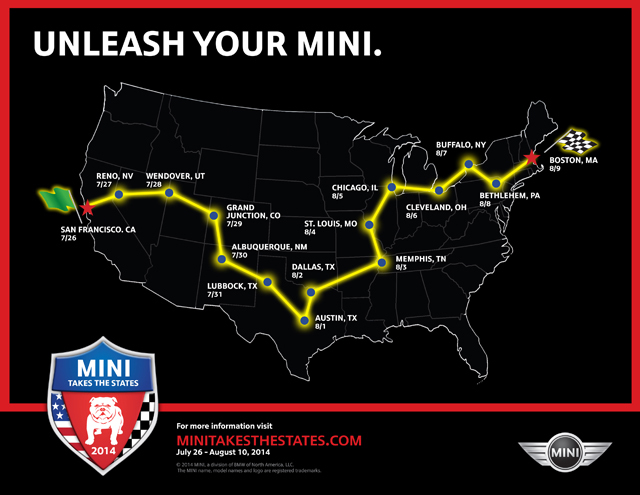 Of course the big event this year is MINI Takes the States 2014, but there are lots of great regional events all over the United States and Canada. AMVIV is not taking place this year but MINIs on the Dragon and Mickey & MINI 10 will happen. 2/16 MINI Thunder V Willows, CA MINI and Mini track day at Thunderhill Raceway Park. 2/20 – 2/23 Helenblitz 2014 Helen, GA Annual gathering of MINIs in the small German town of Helen. 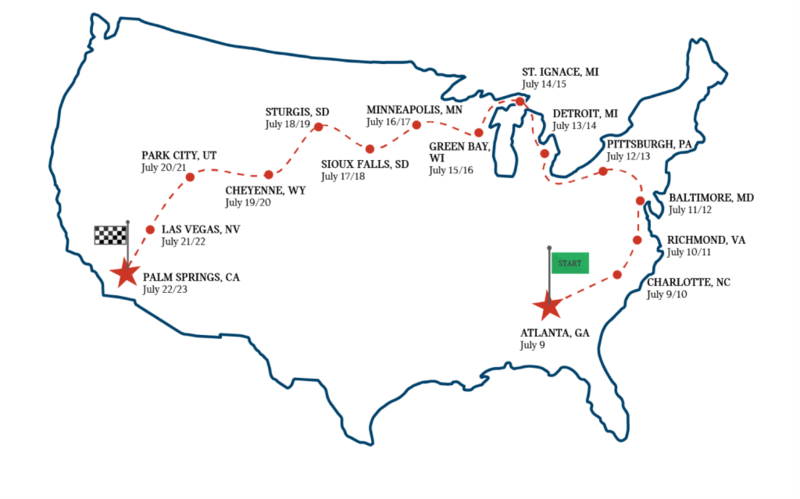 3/28 – 3/30 Southwest MINI Fest Tempe, AZ New event for the Southwest United States. 4/30 – 5/4 MINIs on the Dragon 12 Fontana, NC Large annual meet at the “Tail of the Dragon”, aka MOTD. 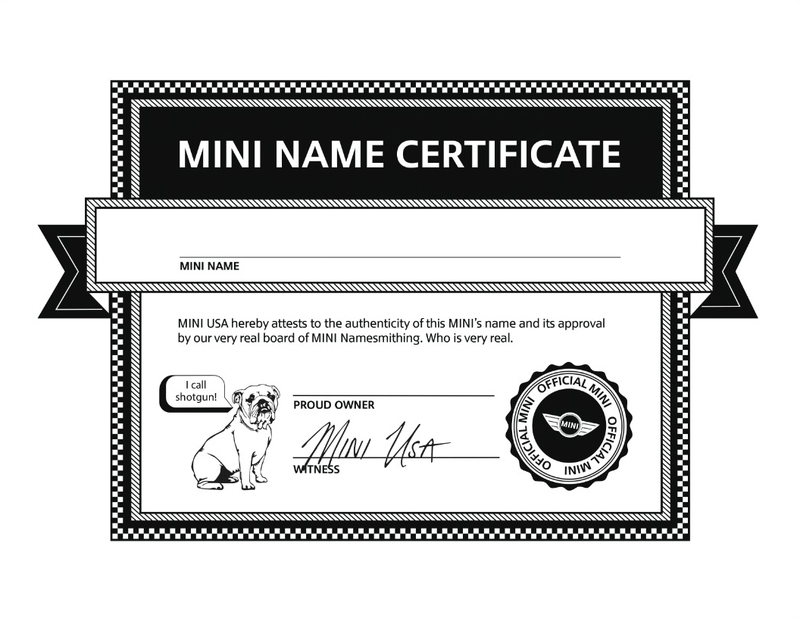 6/13 – 6/15 Mini Meet North Bowmanville, ON, Canada Largest meet in Canada at Canadian Tire Motorsport Park. 6/20 – 6/21 MINIs On Top Bartlett, NH Annual rally to the top of Mount Washington, aka MOT. 6/26 – 6/29 Can-Am Mini Challenge 2014 Lexington, OH Mini-only racing at the Mid-Ohio Sports Car Course. 7/2 – 7/6 Mini Meet 2014: East Meets West Milwaukee, WI Combined Mini Meet East and Mini Meet West for 2014. 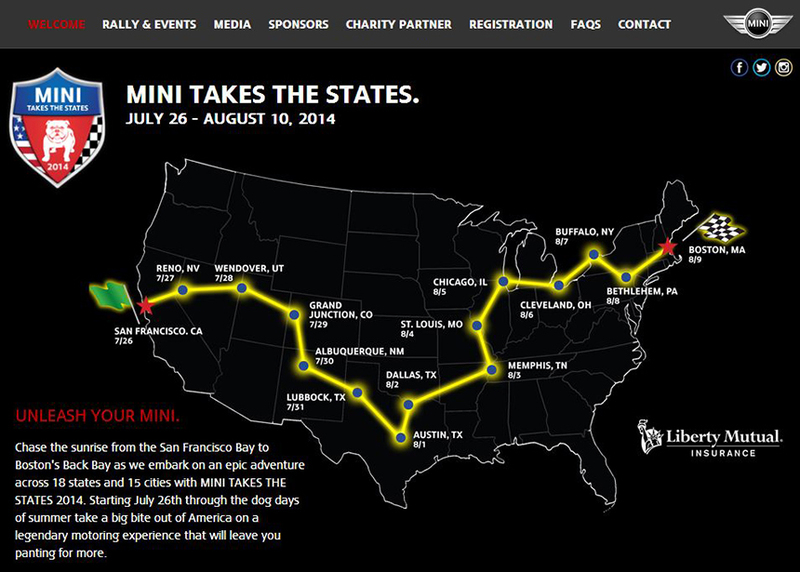 7/26 – 8/10 MINI Takes the States San Francisco, CA – Boston, MA MINI USA’s cross-country rally, aka MTTS 2014. Summer 2014 MINIs in the Mountains Avon, CO Annual meet in the Rocky Mountains, aka MITM. Fall 2014 Mickey & MINI 10 Orlando, FL Annual meet near Walt Disney World by Sunshine MINIs. 10/2 – 10/5 MINIs in Foliage 2014 Stratton, VT Annual meet in New England for the fall foliage season. 10/18 Yalla Yalla CO An annual event in the Rocky Mountain Region. This entry was posted in community news and tagged MINI Space on December 19, 2013 by James Day. 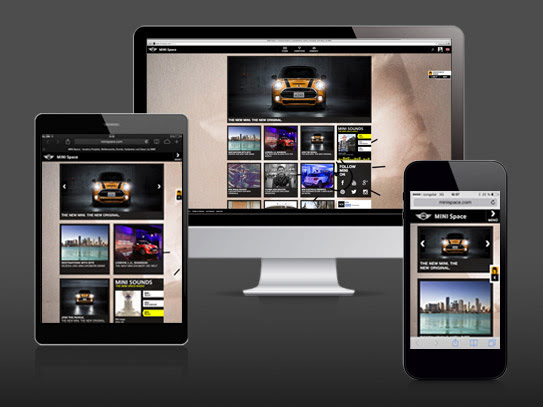 MINI Space has been revamped to enhance and expand your MINI experience. 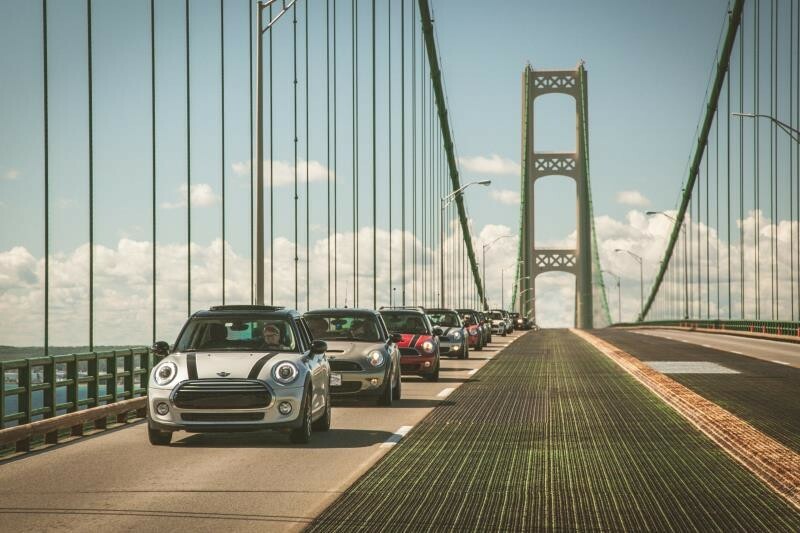 With a new look, exciting new content series, more motorsport, and you – the MINI community – placed firmly in the driver’s seat, you won’t want to be late on the scene of the new MINI Space. Here are just some of the things you can look forward to after the jump! Read MINI Space Is Changing! Your Guide to What’s New.